Kitchen Language: What Is Confit? From commonplace colloquialisms to obscure obsessions, brush up on your food terminology with us as we demystify culinary lingo. 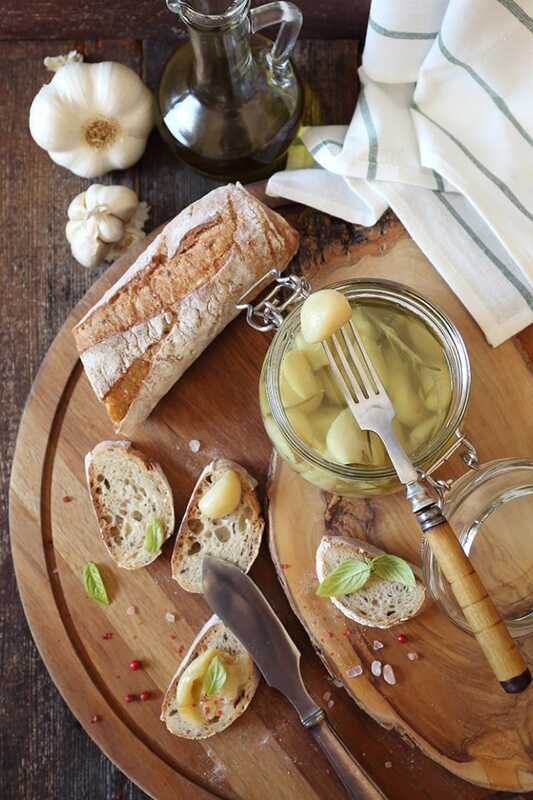 Whether it be duck, goose or garlic—chances are, you’ve heard the word “confit” before. This method of preservation dates back to prehistoric times, and was typically used during the winter months to ensure a proper amount of food was stored. Vegetables can also be preserved this way; confit garlic and tomatoes are upheld and celebrated by chefs far and wide. You too can elevate home cooking with the confit method—it’s fairly simple. Place peeled whole garlic cloves in a small saucepan, cover with either rendered duck fat or blended olive oil and bring to medium heat. When the pot begins to simmer, reduce the heat to low and cook until the garlic becomes soft and tender. The end result—well worth the wait—can be used in various sauces, as a base for dips or dressings, or even tossed on top of a pizza.